The Purpose of Art in Ancient Egypt. Part I. It is necessary to know the physical space in which an ancient Egyptian plastic production is located in order to analyse it. Reliefs, paintings and statues of ancient Egypt we know come mainly from temples and / or tombs, that is, from sacred spaces impregnated with spirituality. Serdab with the statue of Ti. The effigy of Ti was not visible to everyone. Mastaba of Ti in Saqqara. VI Dynasty. Photo: Mª Rosa Valdesogo. The art of Ancient Egypt was not “contemplated”. The tombs were houses of eternity that remained closed in perpetuity (except for receiving the funerary cult) and the temples were sacred constructions to which only the royal house and the priesthood had access. Therefore, the mural scenes and sculptures of Ancient Egypt were not conceived for being contemplated. Egyptian artists did not think of a spectator, to whom something had to be transmitted. Nor can we talk about decoration when we refer to these productions. Its standardization and its restricted nature indicate that it was not an art neither purely visual nor merely ornamental. The art of Ancient Egypt that we know had a sacred purpose, their “raison d’être” were religious beliefs and they had a great ideological load. We could then consider that it was a functional art. In primitive civilizations, images usually have properties that go beyond the purely visual. The cave paintings of the Paleolithic are in many cases in places of difficult access and poor luminosity. That indicates that it was an art with a spiritual purpose (we do not know if ritual, magic …) and that these images had a deeper power than the pure contemplation of forms and colours. 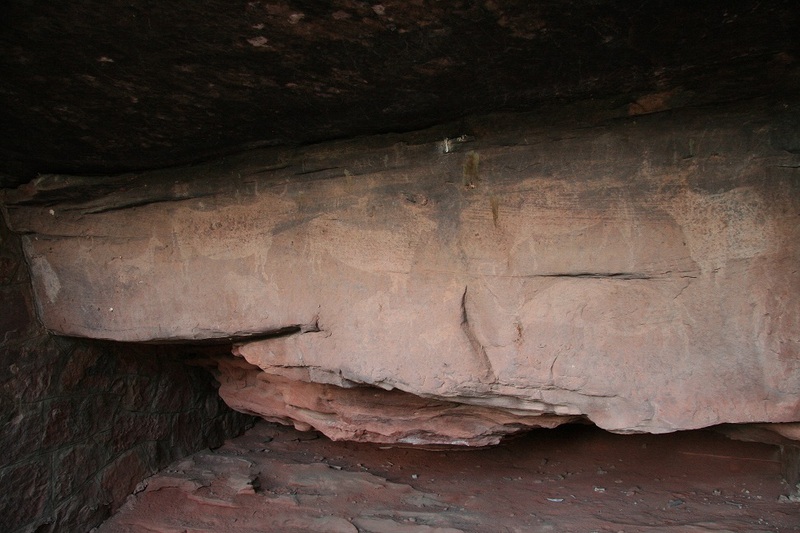 Paleolithic painting in a cave from “Pinares de Rodeno” (Teruel, Spain). Photo: Mª Rosa Valdesogo. The image in Ancient Egypt had a power in itself. 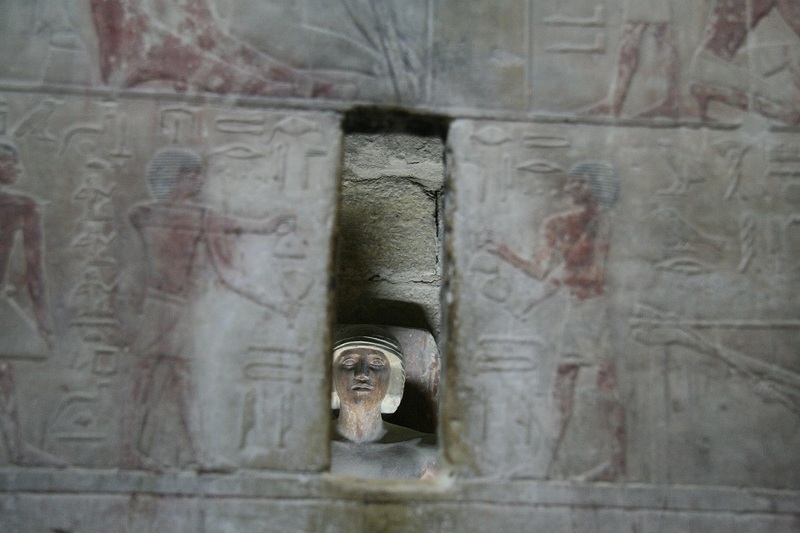 For the ancient Egyptians, the image had a power similar to that of writing. For example, funerary texts were formulas intended to help the deceased on his journey to the Hereafter. Including them in the grave (inscribed on walls or sarcophagi or written on papyri), the dead had the grant of a final resurrection. Those funerary texts of Ancient Egypt had a functional character, because everything that was written was what was going to happen, also the regeneration of the deceased. In short, the texts were magical. 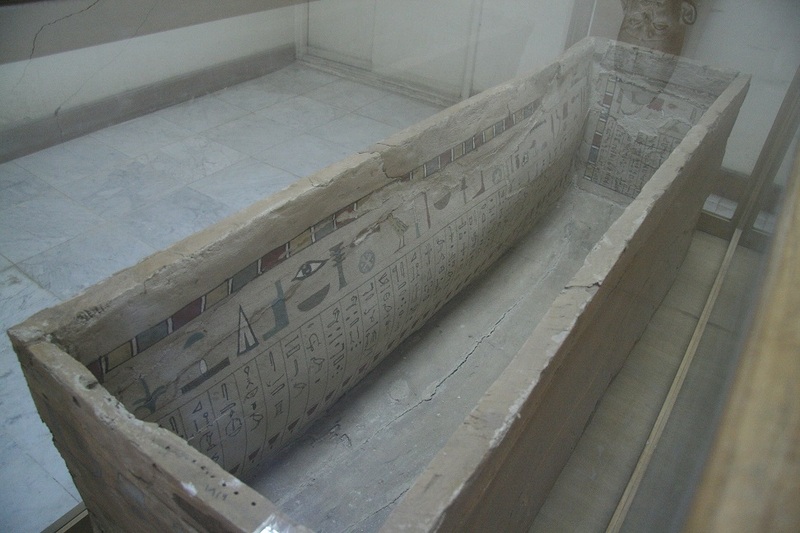 Coffin of Middle Kingdom. With this images and texts the dead could get the eternity. Museum of Beni Suef. Photo: Mª Rosa Valdesogo. In the same way, the images in Ancient Egypt had strength in themselves, because in addition to evoking a reality, they made it arise. A Reflexion on Royal Iconography in Ancient Egypt: News with Nefertiti for Same Needs.